I use many Google products because they are usually free, work well on all devices even Mac and iPad, and simplify both my business and personal life. 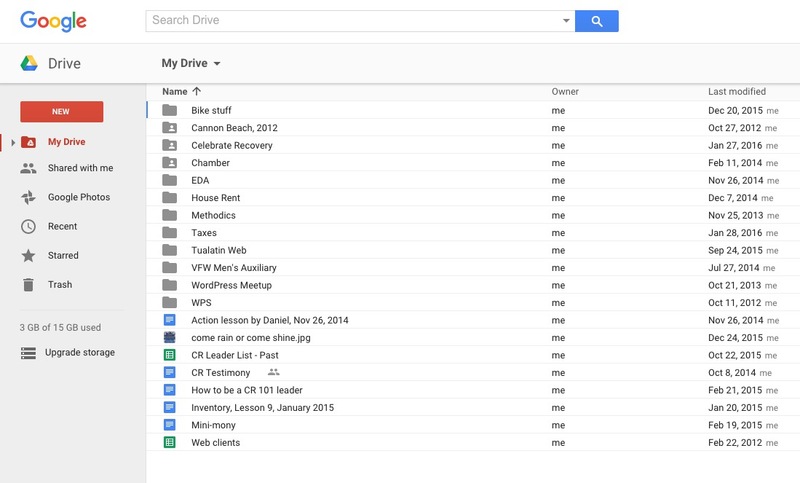 Google Drive is a cloud-based storage that lets me organize documents into folders and files, then share that with anyone else using their email address. That’s powerful. Today I learned that I could bump up my free 15GB of storage on Google Drive to 17GB by just clicking through some security review questions at https://security.google.com/settings/security/secureaccount. Enjoy your time with Google Drive, and remember that when you create a free Google account to use your business email account, you DO NOT need to add a Gmail account.